Mary Louise Pratt is Silver Professor in the Department of Social and Cultural Analysis, and the Department of Iberian and Latin American Studies at New York University, where she is affiliated with the Center for Latin American and Caribbean Studies, and the Hemispheric Institute for Performance and Politics. From 1976- 2002 she taught at Stanford University, where she held the Olive H. Palmer Professorship of Humanities and received the Dean’s award for Distinguished Teaching and the Bing Distinguished Teaching Award. She has held fellowships from the Guggenheim Foundation, NEH, ACLA, Pew and Hewlett Foundations, and the Canada Council. In 1998-99 she was awarded a Cátedra Patrimonial (CONACYT, México) at CIESAS Guadalajara, and in 2000-01 was a fellow at the Center for Advanced Study in the Behavioral Sciences at Stanford University. She served on the Executive Council of the Modern Language Association from 1986-1990, and as its President and Vice President from 2001-2003. Her teaching areas include 19th and 20th century Latin American literature and thought; theory and critique of empire, colonialism, and neocolonialism; women and print culture in Latin America; Latin American cultural theory; globalization studies; language and geopolitics. 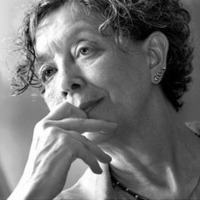 Her research in the 1980s and 90s focused on the history of women’s writing in Latin America. From the late 90s on, she studied the neoliberal imagination and the modernity debates. She is currently studying contemporary indigenous thought and the emergence of global indigeneity.